Capital Projects and Engineering Coordinator Leeds £30k - £35k (dependent upon experience) plus great benefits Bluefire Consulting are recruiting for a Capital Projects and Engineering Coordinator for an international chemical company with excellent career progression plans. This role will see you assisting with the delivery of the entire CAPEX programme across the UK and Ireland and developing strong project management skills. Excellent chance to develop your career within a strong chemical brand. 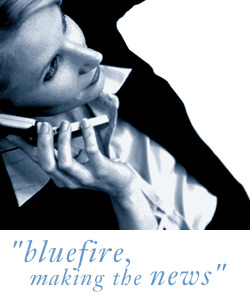 Bluefire Consulting are recruiting for a Capital Projects and Engineering Coordinator for an international chemical company with excellent career progression plans. This role will see you assisting with the delivery of the entire CAPEX programme across the UK and Ireland and developing strong project management skills. For you to be considered for the Capital Projects and Engineering Coordinator position you must have a degree (or equivalent) in a chemical or mechanical engineering discipline and have at least 5 years' experience in a lead engineering or capital projects role, ideally within the chemical or life sciences sector. With an excellent understanding of health and safety processes you need to hold a NEBOSH General Certificate (or equivalent) or a Certificate in Construction Health and Safety. If you can produce technical specifications and AutoCAD drawings for plant and equipment it would be seen as highly advantageous. Any project management skills, qualifications or the ability to produce Gantts charts would also be a benefit.